The 2012 Indigenous Governance Awards are seeking outstanding examples of Indigenous governance in Aboriginal and Torres Strait Islander organisations, projects or initiatives. The awards, created by Reconciliation Australia in partnership with BHP Billiton, highlight success in Indigenous Australia—strong leadership, good management, effective partnerships and brave, creative thinking. There are two award categories, for incorporated Indigenous organisations and non-incorporated initiatives or projects. Prizes include cash for the winners of each category and corporate partnerships for mentoring and assistance for finalists. Applications close 31 May 2012. Visit www.reconciliation.org.au/iga for more information. sustainable management of the land. Applicants for the Land Management Program can be Indigenous landholders, government agencies or non-government organisations. All applicants must call and discuss their project with the ILC before submitting their application. For more information visit the ILC’s website or call1800 818 490. 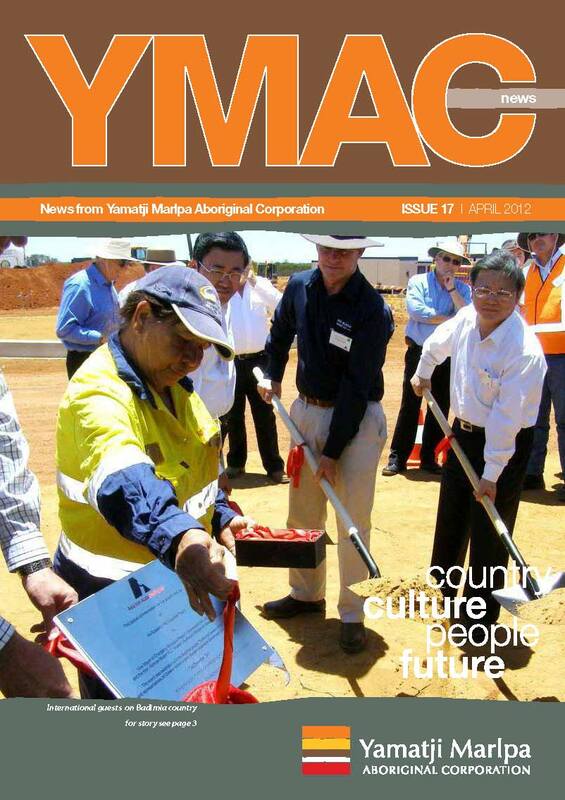 The latest issue of YMAC News is now available from our website. It features a ceremony marking a milestone on Badimia country, a unique agreement for the future of the Njamal people, an important legal win for the Kurama and Marthudunera people, and a valuable course attended by YMAC’s co-Chairs. There are also several new features, including “Respect for elders”, a section profiling respected elders of the Midwest and Pilbara. This issue looks at Ngarla men Charlie Coppin and Stephen Stewart. There is also a new “Frequently asked questions” section and a new column from Christina Colegate, YMAC’s policy officer. We have also profiled YMAC Committee member Rodney Ryan, staff member Jerry Maher, and community member Dawn Hamlett. If you have any stories you’d like to share with us, elders who you think we should profile, questions about native title, or any other letters to the editor, send them to editor@ymac.org.au. National Close the Gap Day is a day for all Australians to join together and remind our political leaders that despite their commitments to close the life expectancey gap between Indigenous and non-Indigenous Australians, there is a lot of work left to be done. The National Close the Gap Day focus for 2012 is on the need for genuine, meaningful partnership with Aboriginal and Torres Strait Islander health peoples at all stages of health planning and delivery. Harmony week is a time to celebrate cultural diversity across Australia. 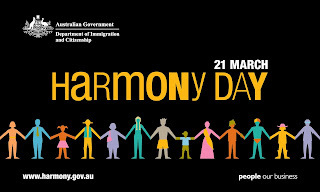 It has been held from 15-21 March every year since 2003 to coincide with the United Nations International Day for the Elimination of Racial Discrimination on 21 March. Join YMAC in a celebration of cultural diversity in the Stow Gardens on the Geraldton Foreshore this Sunday, 18 March. The event is hosted by the City of Greater Geraldton and the Midwest Multicultural Association. There will entertainment and treats from around the world showcasing the diversity of people living in the region. YMAC staff will be on hand to talk to people about Aboriginal culture and native title, and will have plenty of information to hand out to the community. For more information contact the City of Greater Geraldton. We look forward to seeing you there. Filed under: caring for country, community grants, natural resource management. The Australian Government is currently offering grants under the Caring for our Country program for community groups actively involved in protecting and improving their environment. Projects may include recording and using traditional ecological knowledge, developing natural resource management plans, or restoring endangered ecological communities. Applications close on 27 March 2012. To get more information, find out if your group is eligible, and download an application form, visit the Caring for our Country website or call 1800 552 008. The National Indigenous Youth parliament brings together 48 young Indigenous people aged from across the nation to meet in Canberra, discuss ideas, learn from mentors and present a draft bill to the Government. Six Indigenous Western Australians, aged 16-25 will be chosen to participate. 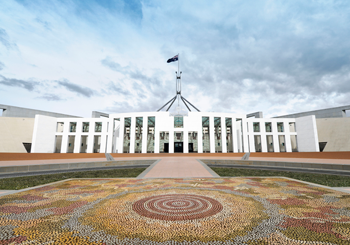 The program consists of a week of training in April with the other WA delegates, and a week in Canberra in May with the delegates from all of the States and Territories. Participants will be chosen based on their community involvement, ideas, and interest in government and the parliamentary process. This is a unique opportunity for young people to learn how the system works, present their ideas to the Government, and connect with other future Indigenous leaders.